Photography does not just capture a moment; it’s an art, a mean to depict our reality. There are many famous photos and photographers, but I would like to refer to those who transport us to a specific point in time, to events we hear about and which unfortunately are now a hallmark of our world, such as the murder of an ambassador in Turkey, Syrians fleeing their country or the Venezuelan crisis. Each year since 1955 the Dutch organization ,World Press Photo, selects the best photographs that capture the most relevant event of the year. 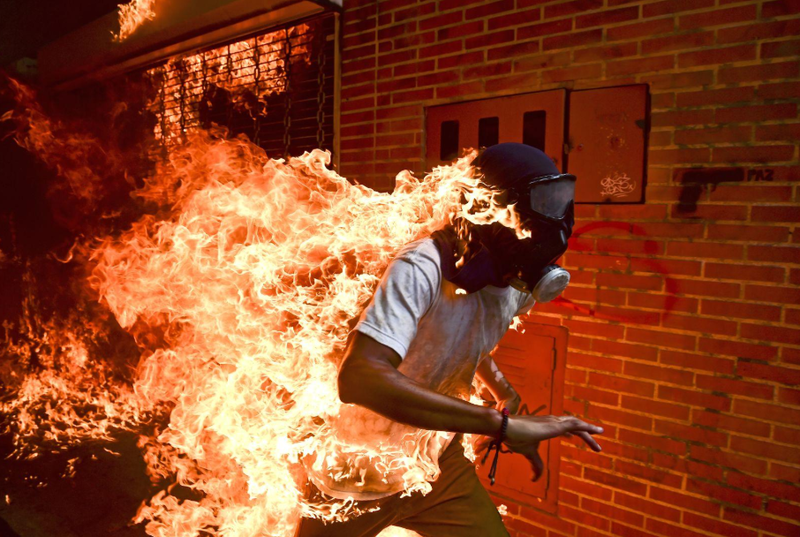 In 2018, Ronaldo Schemidt won “Photo of the Year” for his piece entitled “Venezuela Crisis” where the title says it all. The image of a young man on fire was taken during a protest. The jury mentioned it not only complied with the required technical criteria, but also summarized the country’s situation. The World Press Photo jury consists of acclaimed professionals in the field. The organization does not intervene in the decision. Jury members grade photos based on the proper use of light and exposure, technical quality, rules of composition and the photographer’s intent. 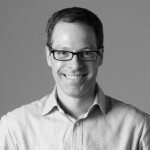 The newsworthiness of the photograph is also taken into account. All participating press photos must be taken the year prior to the contest in order to be eligible. In the past three years, the winning photos summarize those events which have had the most impact on the world, including moments of violence or the consequences of political conflicts. In 2017, for example, photographer Burhan Ozbilici was in an art gallery in Ankara, Turkey when the Russian ambassador, Andrey Karlov, was attacked. 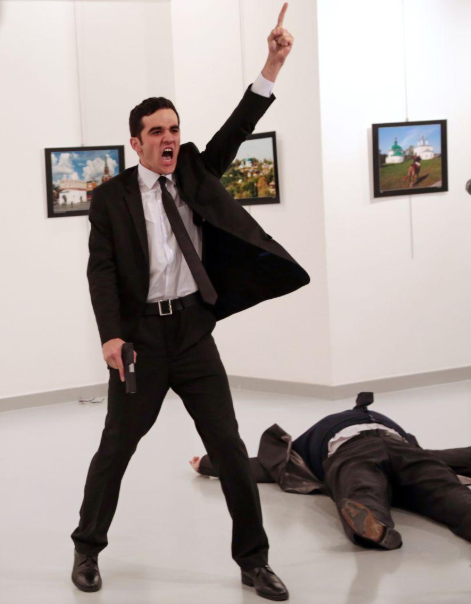 Ozbilici photographed the shooter moments later and was awarded photo of the year for the photograph. 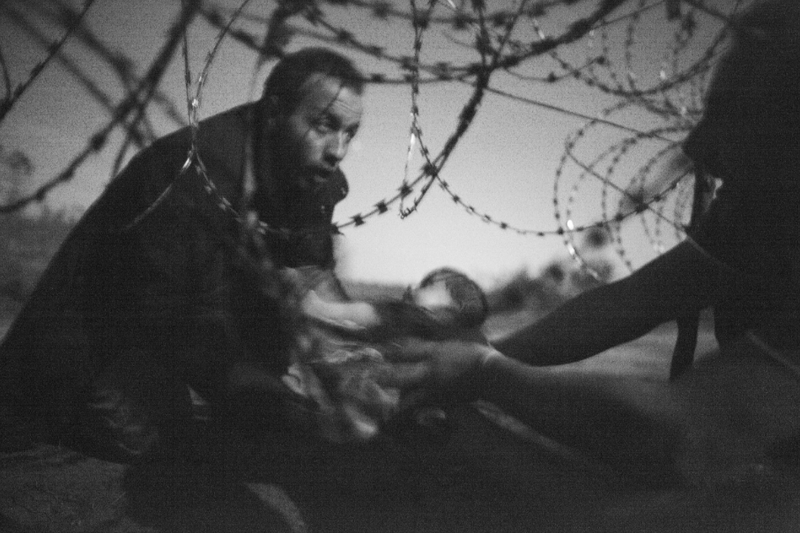 In 2016, the winning photograph was of a baby being handed under a fence to a Syrian refugee who had managed to cross the border into Hungary. Although the photographs are incredible, the stories behind them are very sad. I am convinced things can change and hope that in the near future we shall see pieces that are the result of much happier stories. In addition to the prizes given by the Dutch organization, other renowned photography contests are the National Geographic Traveler Photo, Sony World Photography Awards and the Pulitzer. Check out the other categories’ winners at www.worldpressphoto.org/collection/photo/2018 and tell me which is your favorite.